Adults might expect a conversation with a five-year-old to be funny and even silly. 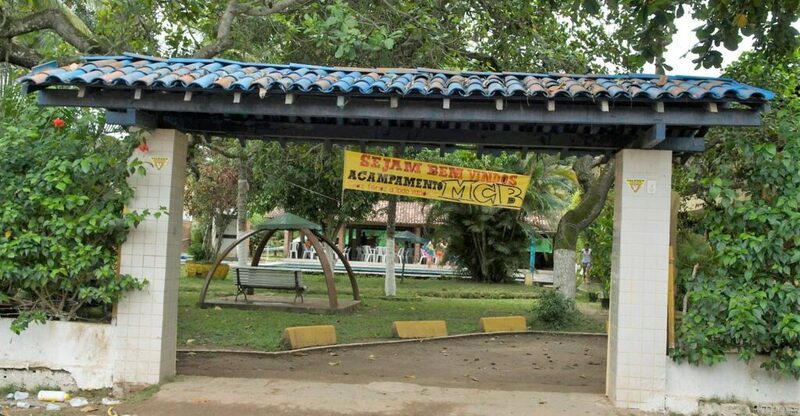 You don’t anticipate an emotionless small boy to state nonchalantly, “The police killed my brother for trying to steal from people on the bus.” But such a conversation is sadly normal for BCM Brazil missionaries. If the frequency of such events would make any adult shudder, slum children growing up in such violence are routinely witnesses to murder on their own streets. 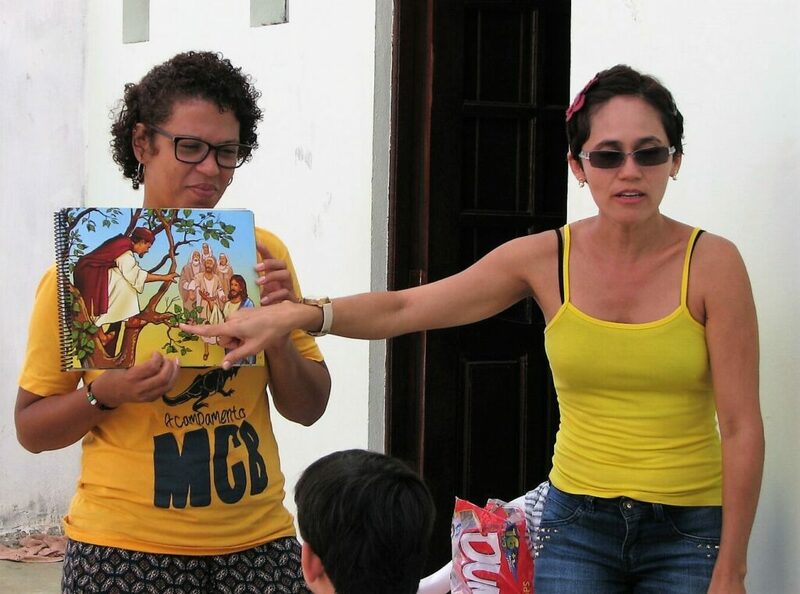 BCM Brazil (known locally as Ministerio Centralizado Na Biblia, or MCB) works primarily in Recife, a city of over three million located in eastern Brazil by the Atlantic Ocean. 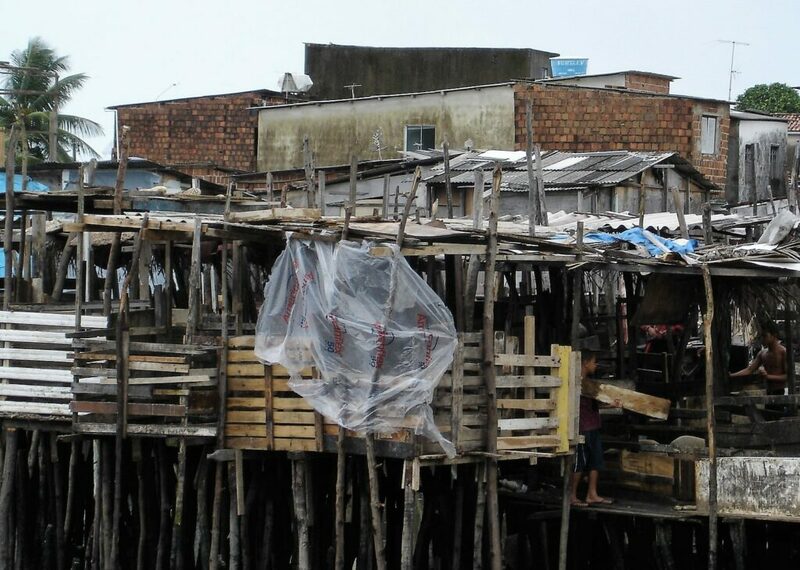 Many residents live in drug, violence, and poverty-riddle slums called favelas. Children growing up within these communities are prone to violent behavior themselves as well as constant exposure to drugs and immoral lifestyles. BCM Brazil enters these favelas weekly to hold Bible Clubs and share about Jesus Christ with children who are growing up in miserable situations. These nine clubs and the ten BCM missionaries and volunteers who teach them are a ray of hope for the 5600 children who attend weekly. They are not just a faceless, nameless mass, but children in need of a Savior. A Savior who can not only offer them eternal security, but rewrite their stories into something beautiful and filled with hope. The following will introduce you to just a few of these BCM Bible clubbers. Ana is twelve years old. She has a mother in the picture, but no father. Her mother recently spent time in prison for drug dealing. 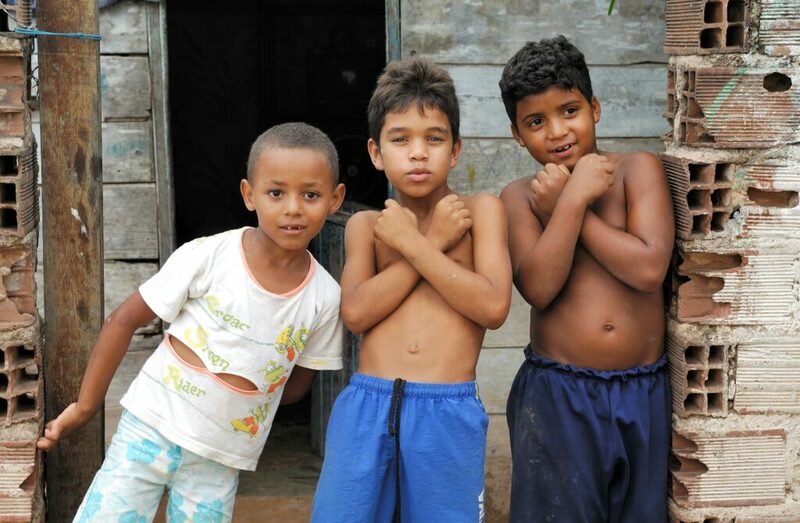 Ana Vitória and her two younger brothers frequently go without food and are constantly hungry, so they spend time on the streets begging for something to eat. Clothing is limited, so Ana attends school wearing dirty or torn clothes. When she arrived at a BCM summer camp for favela children, she had one small sack with her because she simply doesn’t own much. Josemar is also twelve and doesn’t have much to eat at home either. He is labeled as “problematic”, little wonder since his older brothers are both involved in drugs and one is currently serving time in prison. His parents are unemployed and experiencing difficulties in the home. Rafaela, only eight years old, is living in a shelter with her family since their wooden shack was flooded by heavy rains. Thankfully, her mother has a job and her boss is helping provide food, housing, and even rebuilding their old home. However, her two older sisters are involved in drugs and living on the streets. Her parents, even with her mom’s employment, are themselves involved in drugs and alcohol. Davi has experienced more in his nine years than most do in a lifetime. His father, a convicted thief and murderer, made a confession of faith in Jesus while in prison. However, once he was released, he returned to the same criminal lifestyle and was himself murdered. Davi lives with a physically abusive mother, which has made him turn violent as well. His aggression is aimed at school teachers, and he has little respect for any authority. Joalisson’s fourteen-year-old life almost never began. A known drug dealer, his mother was not pleased to find herself pregnant. She attempted to abort her unborn boy multiple times, even jumping off a bridge to try to end his life. Joalisson is already addicted to glue sniffing, is a thief, has lived on the streets, and even been imprisoned for juvenile delinquency. But unlike most favela children, he has a father who is not only present in his life, but a Christian who is trying to attend church regularly. Ten-year-old Ruinara’s father is a wizard, not the fictional sort, but a practitioner of sorcery. Growing up in this atmosphere has exposed her to witchcraft and its reality in this world. During her week at a BCM summer camp, she suffered various physical ailments due to demonic oppression. Now a teenager, Viviane first attended a BCM summer camp at age ten. She lived in a tiny wood shack with her parents, both addicts, and eleven siblings until torrential rains flooded them out. This has actually been a blessing as the family is now in a shelter where Viviane’s mother works as a cook, is getting help for her addiction, and is now taking her family to a nearby church. Such accounts are heart-wrenching, but God is still in the process of rewriting stories. In 2017 alone, BCM Brazil’s summer camp for favela children was attended by 190 kids. Of these 190, 120 received Jesus as their Savior at camp, including Ana, Rafaela, Davi, and Ruinara. And such stories can have a bright future as the newest BCM Brazil team member Victor Santos can attest. When Victor was two years old, his parents divorced, and his father took full custody of Victor and his brother. Because his father worked for a drug addiction program, they moved to an area heavily saturated with drug-trafficking. Though the family attended church, Victor and his brother developed friendships with the very drug addicts his father was trying to help, dressing, talking, acting like them. Victor even used his leadership skills to build a secret group of thieves in school, stealing from fellow classmates and giving the items away as gifts. He was subsequently expelled from two schools. Becoming suspicious, his father banned the brothers from leaving the house after dark. But Victor’s newfound friends taught him how to get in and out without being caught. He was now exposed to a night life of sin—drug trafficking, robbery, even friends committing a murder. Gradually, Victor’s life began to mirror that of his friends, and he wasn’t even aware of the depth of the change. 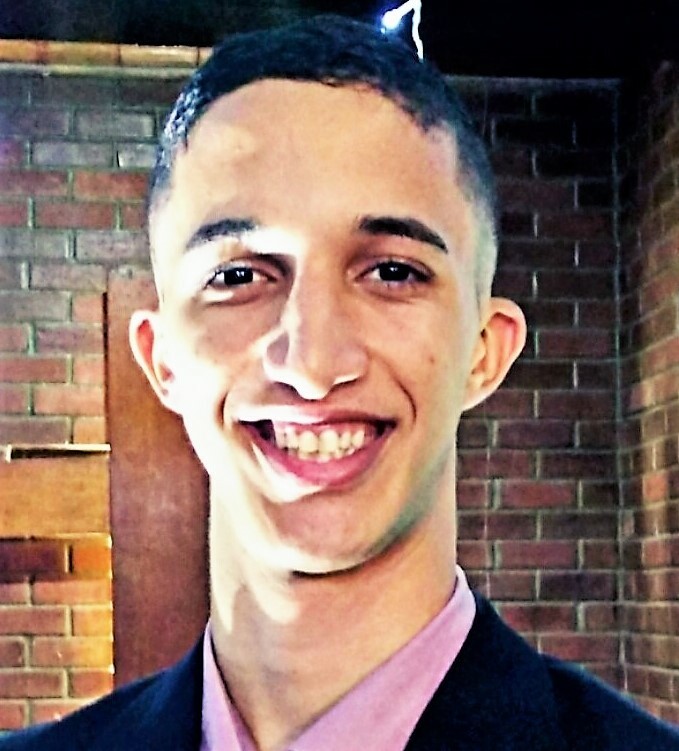 Moving to Recife to pursue his soccer career, Victor began to get involved in Christian activities, including a discipleship program. Under conviction of the Holy Spirit, he acknowledged his sinful lifestyle and while at a youth camp finally gave his life completely to Jesus. In 2017, Victor was given the offer of his dreams—to join a United States soccer team. Victor excitedly shared the news with his father, but God again had different plans. Pray that God raise up more Victors from the favelas of Brazil. 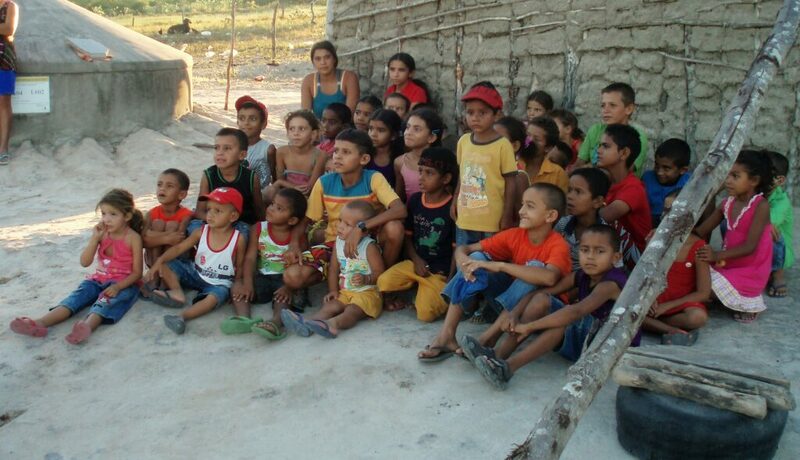 Pray for the children who received Christ at camp to continue in their newfound faith as they return home to the favelas. And for those for Josemar and Joalisson and the other favela Bible club children who don’t yet know Christ that God would do whatever it takes to draw them to himself.